Episode #48: Superman In The Army! Superman 122 & Superman 133! 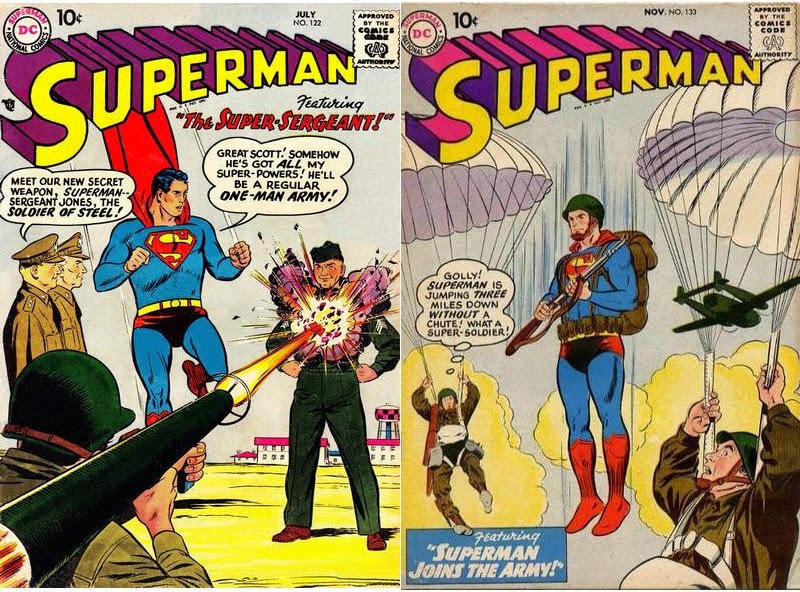 In honor of Veteran's Day I am presenting two silver age Superman stories. THE SUPER SERGEANT was originally published in SUPERMAN 122, July 1958. It has been reprinted in SUPERMAN: THE MAN OF TOMORROW ARCHIVES VOL. 1, and SHOWCASE PRESENTS: SUPERMAN VOL. 1. The second story, SUPERMAN GOES TO WAR, first appeared in SUPERMAN 133, May 1963. It has been reprinted in SHOWCASE PRESENTS: SUPERMAN VOL. 4. The first story about Superman in the Army that I ever talked about was a story by the same name, back in Episode 3, part 2, about Jerry Siegel, who wrote that story. Send emial to supermanfanpodcast@gmail.com. Expanded show notes can be found at http://supermanfanpodcast.blogspot.com. MY PULL LIST is my spoiler free comic book blog where I review the titles I read every week. It can be found at http://mypulllist.blogspot.com . Send e-mail about this blog to mypulllist@gmail.com. Superman and all related characters are copyright DC Comics. 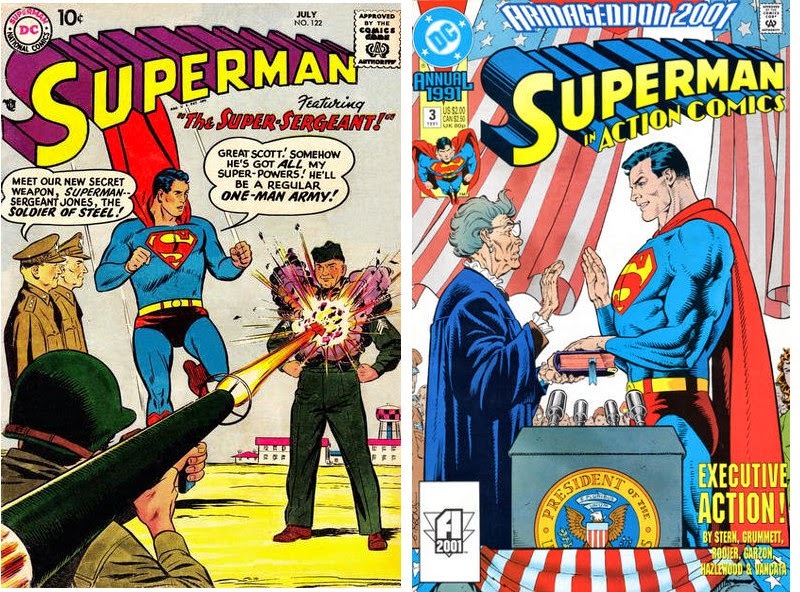 Episode #47: Superman For President! Superman (vol. I) 122 & Action Comics Annual 3! SUPERMAN IN THE WHITE HOUSE from SUPERMAN #122. It has been reprinted in SUPERMAN: THE MAN OF TOMORROW ARCHIVES VOL. I and SHOWCASE PRESENTS: SUPERMAN VOL. I. EXECUTIVE ACTION appeared in ACTION COMICS ANNUAL #3, 1991. I could find no reprint information for this issue, so your best bet to find this issue is on line or at your local comic book store. MY PULL LIST is the spoiler free review of the comic books I read every week. It can be found at http://mypulllist.blogspot.com . Send e-mail about this blog to mypulllist@gmail.com . Thanks for listening to SUPERMAN FAN PODCAST, and, as always, thanks to Jerry Siegel and Joe Shuster.